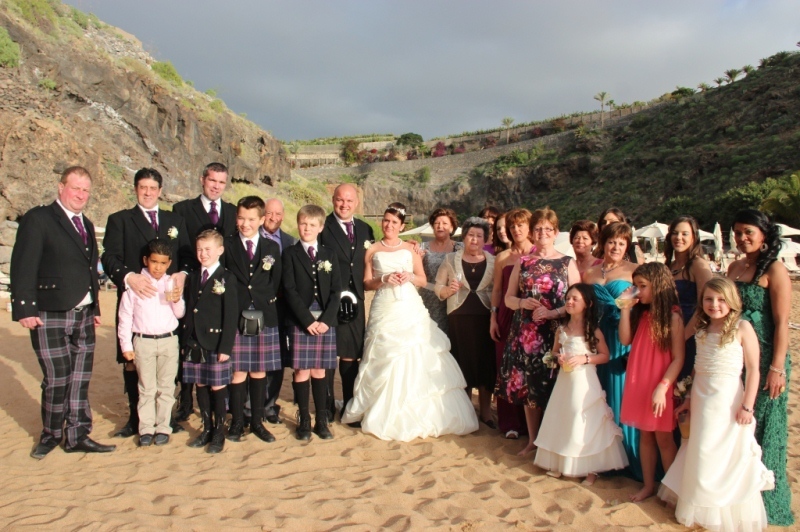 It was a bright sunny day for a beautiful destination wedding! 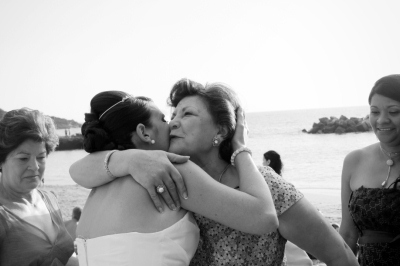 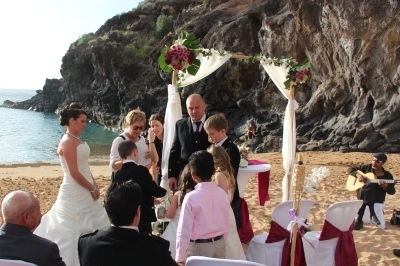 Getting married during a romantic beach ceremony in Spain was a very special occasion for the lovely bridal couple as well as for their friends and families! 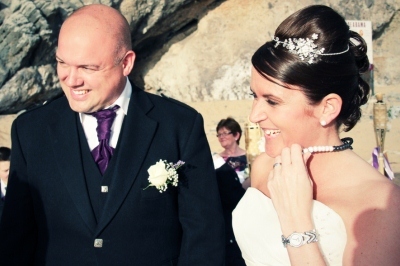 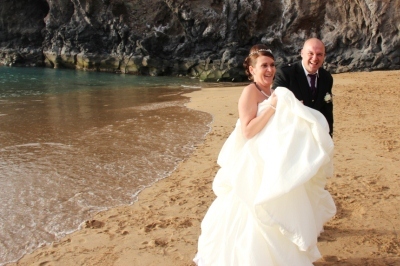 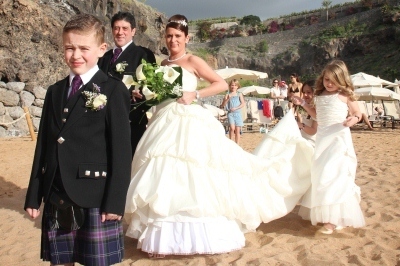 A beautiful white sandy beach in one of the most charming little bays in Tenerife close to a high-class venue is the perfect spot for a fairy-tale wedding abroad like this one. 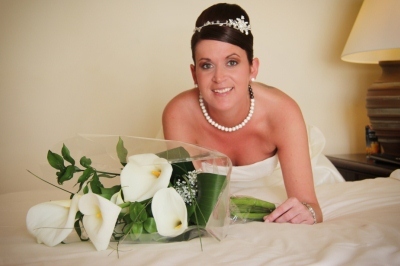 The beautiful bride in her gorgeous wedding dress. 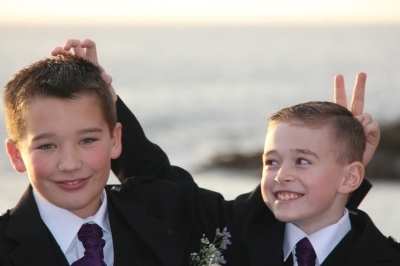 The pageboy and flower girl are very excited and waiting for the bride. 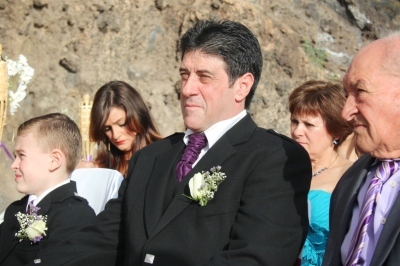 The proud father will walk his daughter to the altar. 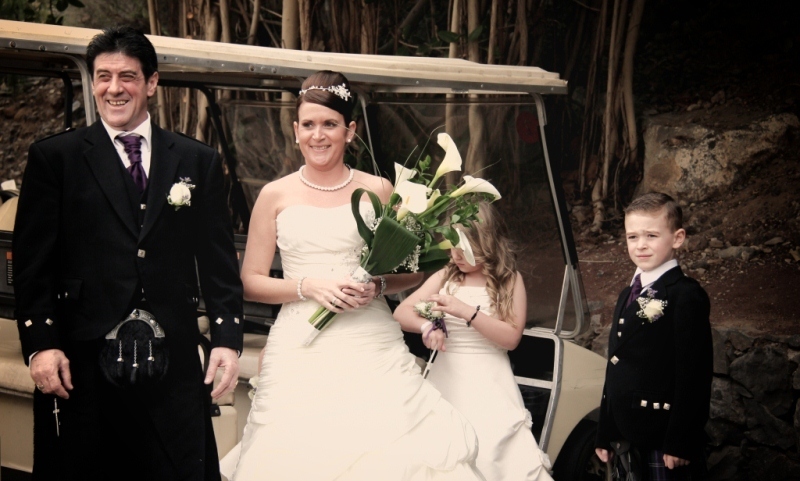 The bride arrived in a lovely golf caddy. 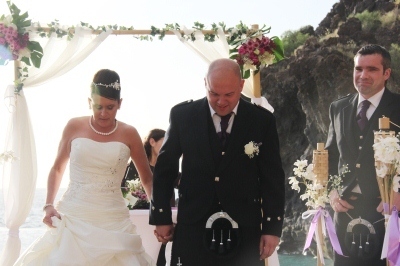 The beautiful bride walks down arm in arm with her father to the altar. 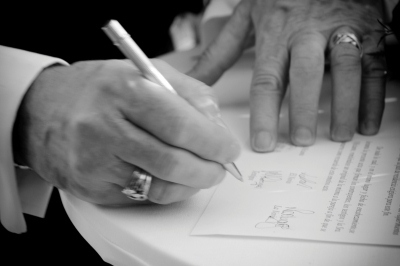 Start of the ceremony with a heart-warming speech of the registrar. 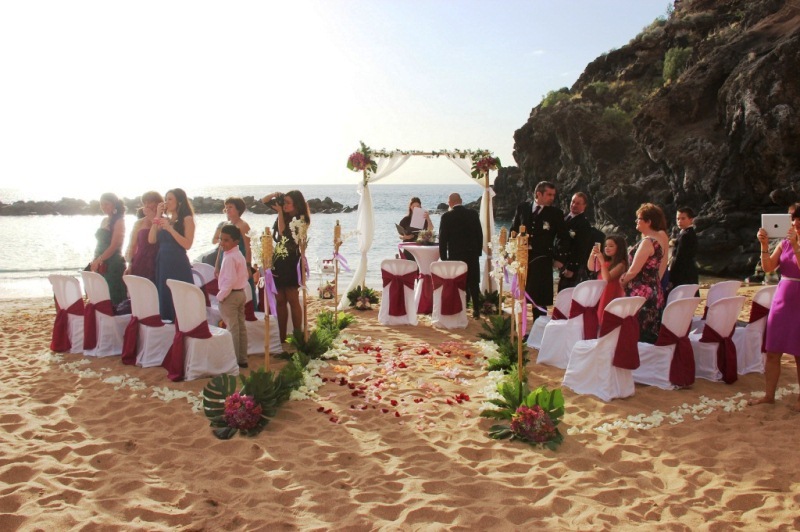 The guests can’t wait to see the bride and groom tying the knot in front of the lovely decorated altar. 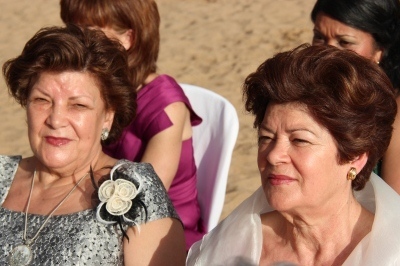 The guests, while listening to the romantic speech of the registrar, accompanied by the gentle sound of live guitar music. 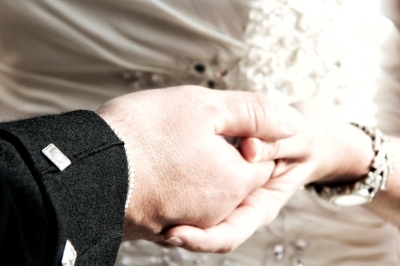 The hand tradition is always a very emotional moment for the bridal couple. 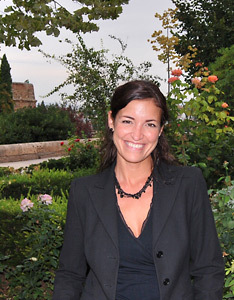 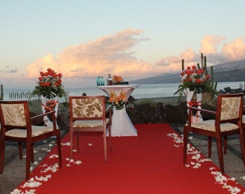 The guests are touched by the romantic ceremony. 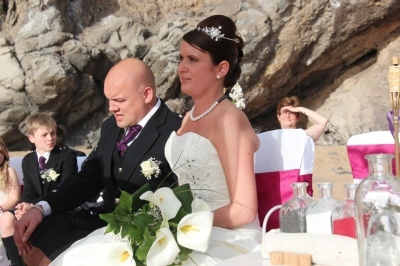 A beautiful clear sky, the sound of waves in the background, a very special ceremony and the person you love the most next to you. 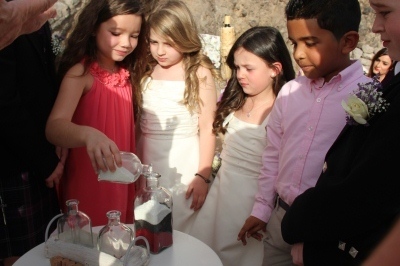 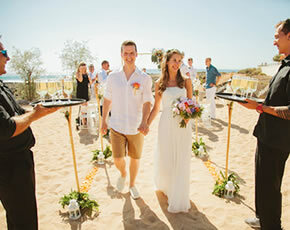 The sand tradition by My Perfect Wedding: The different layers symbolize the versatility of a marriage. 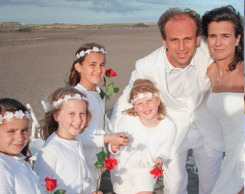 Also the children are involved in this lovely tradition. 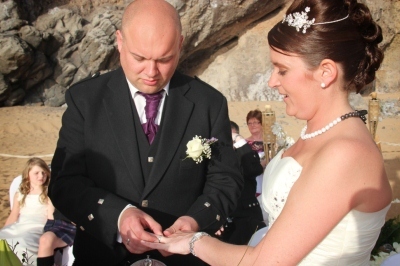 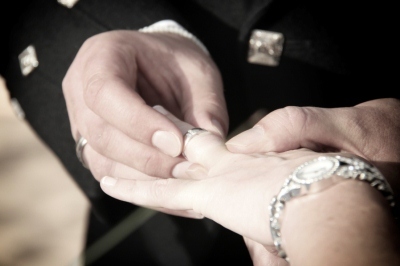 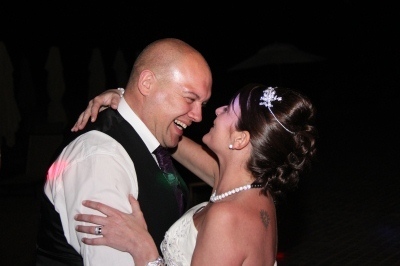 The wedding rings were exchanged by Nikki and Lee to seal their love forever. 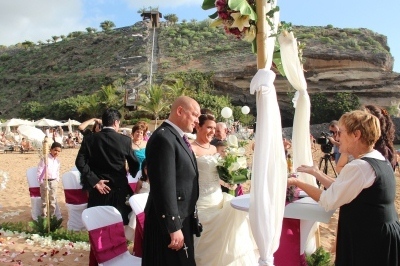 The groom and the bride have so much fun and enjoy their wedding ceremony on the beach in the Canary Islands. 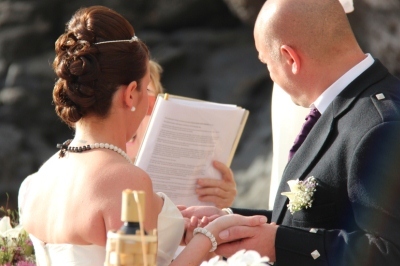 The bridal couple when signing the documents and the long desired wedding kiss. 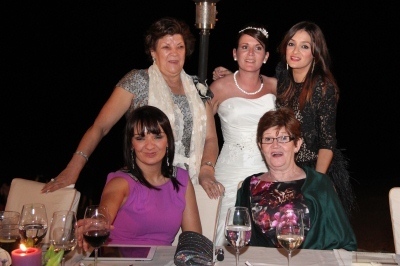 All the girls and all the boys! 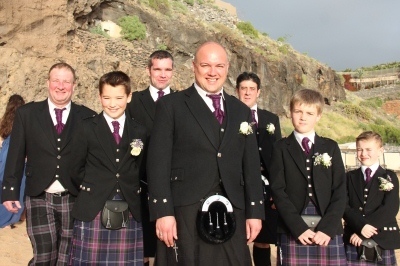 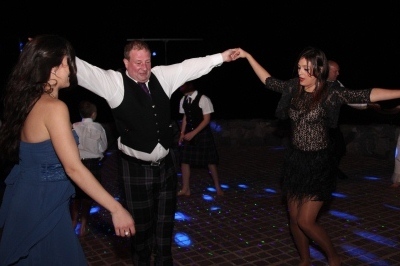 The traditional Scottish kilts add a nice touch to the pictures. 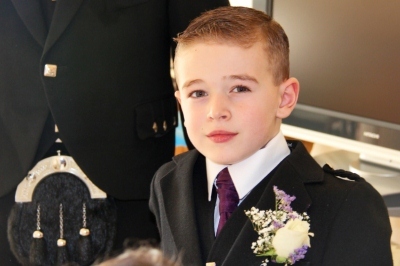 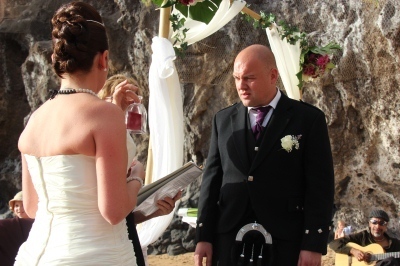 The groom will fulfil any of his bride’s wishes. 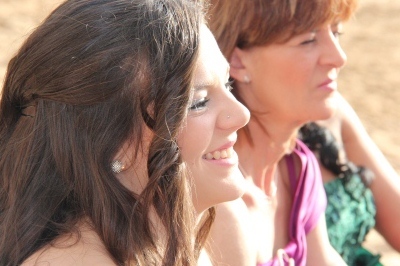 Wedding photos are the best way to show how amazing the whole day was. 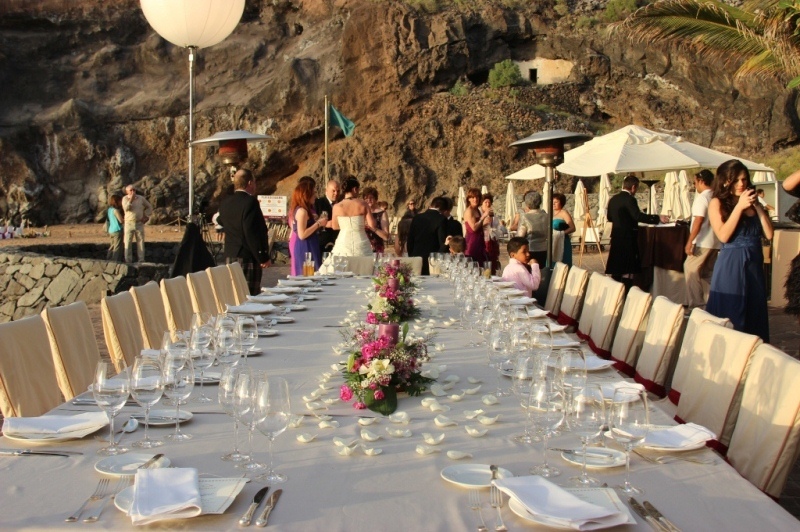 The beautiful decorated table for the reception meal with amazing view to the Ocean and close to the beach. 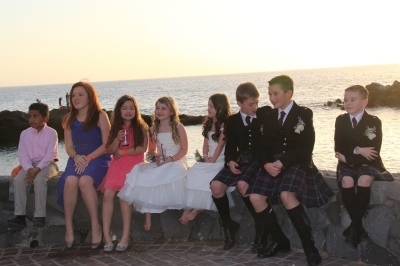 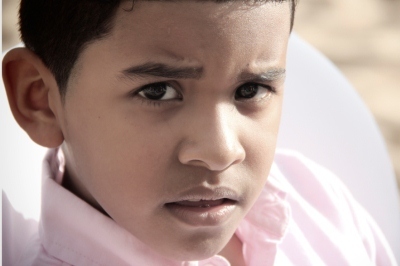 The children enjoy as well the great day in Tenerife. 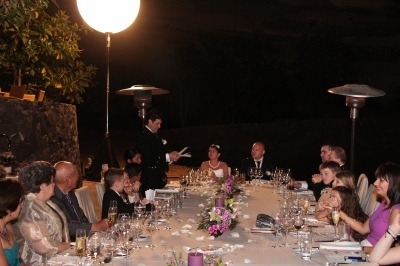 The bride’s father and the groom held emotional and funny speeches between the courses of the excellent reception meal. 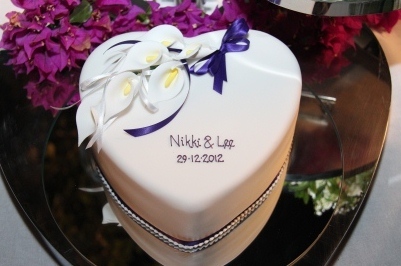 The delicious, decorated wedding cake matching the bridal bouquet and colour theme! 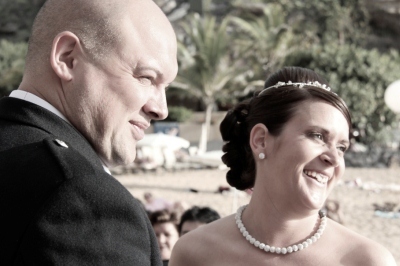 The couple with Nadine García Breuer from My perfect wedding. 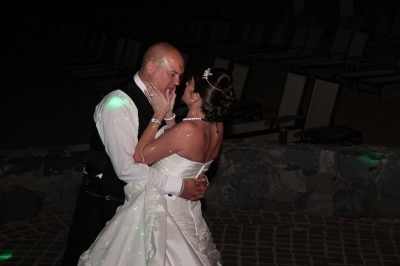 The first dance is always reserved for the bridal couple. 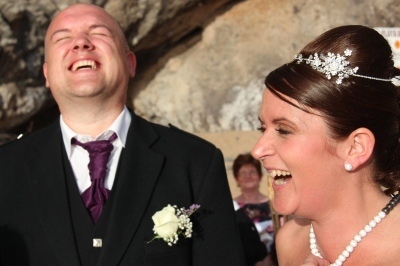 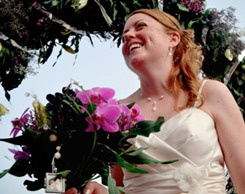 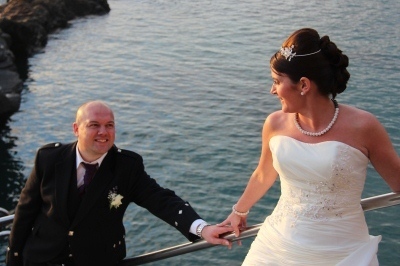 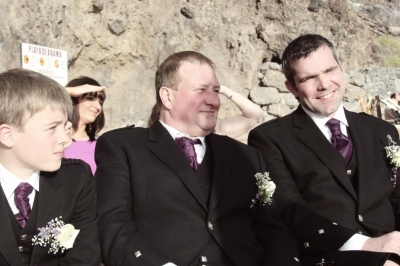 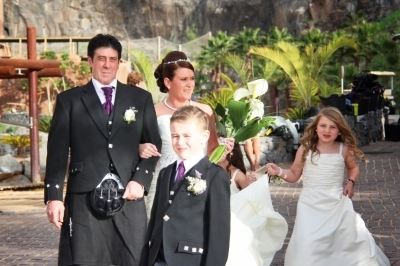 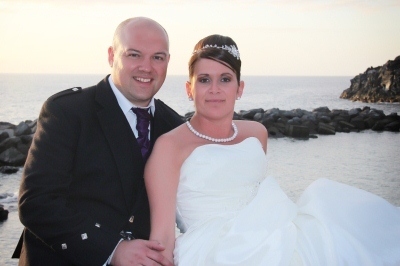 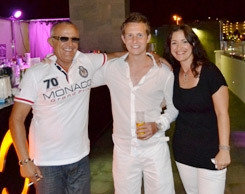 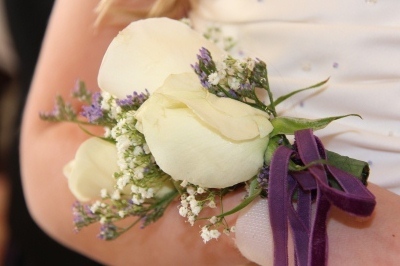 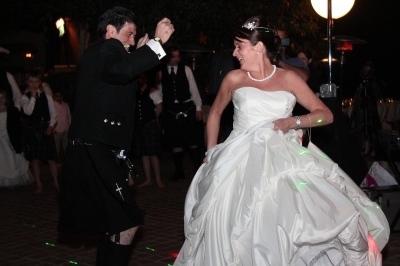 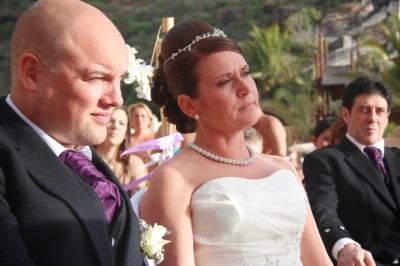 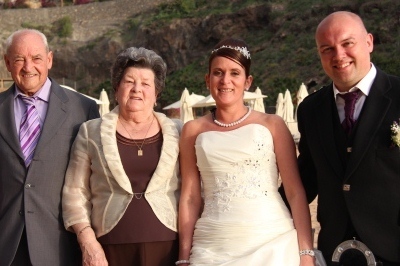 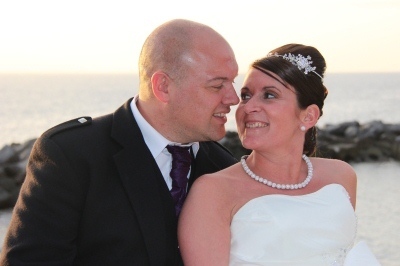 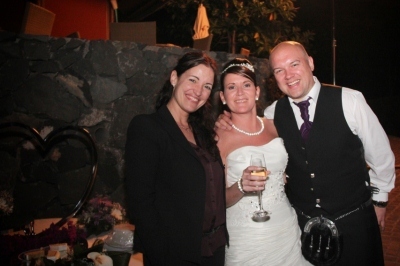 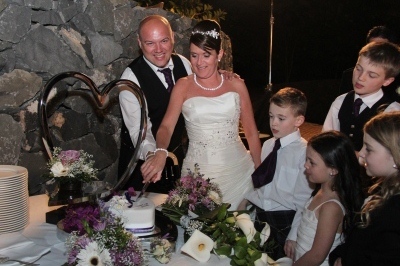 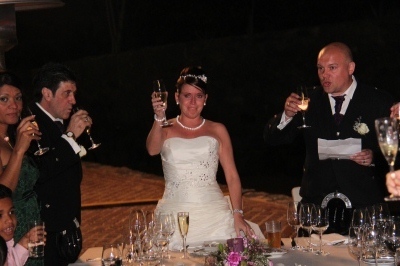 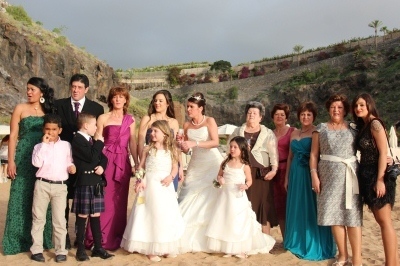 A wedding in Tenerife is always an exciting moment for every couple. 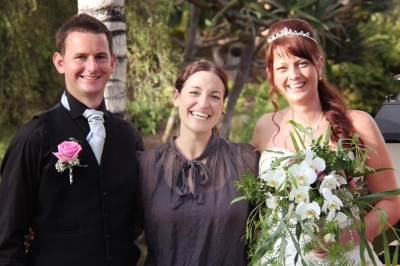 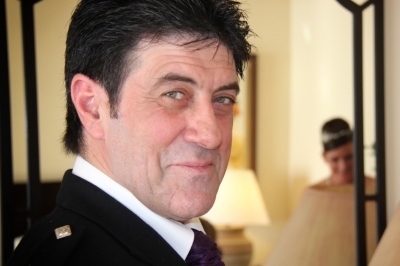 Thanks to the team of My perfect wedding everything was prepared perfectly for the best day of their lives. 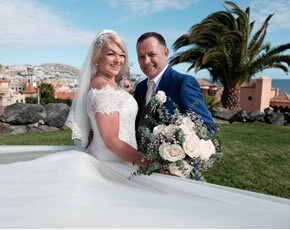 The Team of My Perfect Wedding wishes the unique couple only the best for their future together and hopes that they will never forget their stunning wedding in Spain!